Adam joined the Maldon Branch in February 2017. He is as an experienced banker and branch manager, with a passion for community. 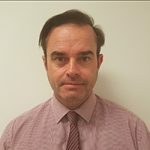 Adam has been in the banking industry for 14 years and has built a strong reputation on building customer relations and helping customers and the community with all of their banking and financial needs. Adam joined the Community Bank® because of its strong connections to the community. 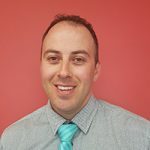 He is passionate about working with the local community and working with not-for-profit groups to help them thrive. In his spare time, Adam is likely to be found on the golf course or watching AFL – a self-confessed Hawthorn tragic “proud, passionate and paid up!” He also loves cooking and spending time at home with his wife and children, Sloane and Finn. Sean joined the Community Bank® at Maldon in July 2013 after moving to the district. He works with customers to help them reach their goals by offering banking solutions relevant to their lifestyle. Sean lives in Maldon and enjoys watching local football and being part of the local community. 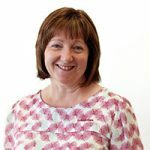 Wendy has worked with the Maldon & District Community Bank® Branch for over ten years, working in all three branches – Maldon, Newstead and Dunolly. What she loves most about working in the local Community Bank® is making a difference to our communities. Wendy is born and bred in Maldon, and has been heavily involved in community life in Maldon. She has been either office bearer or committee member of Maldon Pre School, Maldon Primary School, Maldon Tennis Club, Walmer Fire Brigade, Maldon Cubs Netball Club, community supporter of the Maldon Football Netball Club, Newstead Football Netball Club and Castlemaine Tennis Association. Wendy keeps busy in her spare time with her family and grandchildren, and helping on the family farm. Lara joined the Maldon & District Community Bank® in July 2017. She is based full-time at the Maldon Branch. Lara will be a familiar face to many, having grown up in Maldon. She has plenty of experience in the banking and customer service world and in hospitality before that. She loves working locally and with the Maldon & District Community Bank® Branch. In her spare time she loves karate, keeping fit and hanging out with family. Lara loves working in her local community, helping customers and working for a community bank. 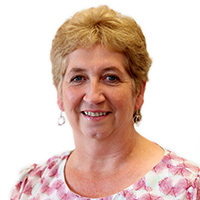 Jan has been part of the Maldon & District Community Bank® Branch from the beginning – commencing with us in April 1999. Jan currently works as a part time customer service officer, working Monday and Tuesday mornings at Newstead, Maldon branch in the afternoons and Saturday mornings and relieves at Dunolly when required. Jan has lived her whole life in Castlemaine and enjoy the community life. Along with her family, Jan has been involved in local schools, netball, tennis, bowls and band groups over the years both in Castlemaine and Maldon. For Jan, the best thing about working with the Community Bank® is the many friends, both staff and customers, that she has made over the years. Melanie is the face of our Dunolly agency. She has lived in Dunolly for 9 years with her husband and daughters. Melanie is involved with many groups in the community, including the Dunolly Football Netball Club as a player and former coach. She is also involved with the Dunolly Preschool and Primary School. Mel jumps at the chance to be involved with any activities that are happening locally. According to Mel, Dunolly is a fantastic little community to live and raise children. The preschool and primary school are truly great assets to the town and the people in the community are so friendly. Narelle works at our Maldon and Newstead branches. Narelle enjoys working with customers and the wider community in both locations. 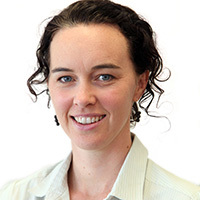 Narelle has lived in Newstead for 18 years and is connected to the local community through her children’s schooling and involvement in the Newstead Football Netball Club. In her spare time Narelle likes to keep fit by walking and cycling. Natasha works at the Dunolly and Maldon branches. She has been with the bank for seven years. 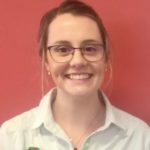 Natasha enjoys the community spirit in Maldon, Dunolly and Newstead, and loves that everyone is friendly and welcoming. Her interests are gardening and spending time with friends and family. Kyle is our newest staff member. 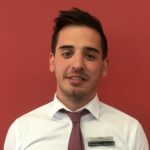 He joined the team in October 2018 and works part-time in the Maldon Branch. He enjoys working in the bank and in his local community. He plays football with the Maldon Football Netball Club, likes to keep fit and healthy, and spend time with friends and family. 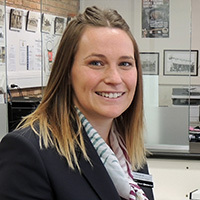 Katie has been with the Maldon & District Community Bank® Branch since 2013. 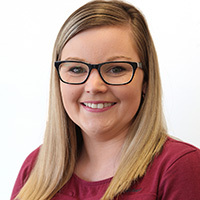 She has recently stepped up to the role of Communications Officer, and her job involves creating content on social media and general communications for the company. Katie volunteers as an emergency first responder with the Maldon Community Emergency Response Team (CERT).